from our house to yours...: Hoppy Easter! We love our PEEPS!!! Hoppy Easter! We love our PEEPS!!! Hi peeps!!! We just wanted to "hop" in and remind you of our wonderful SALES ending April 1st!!! 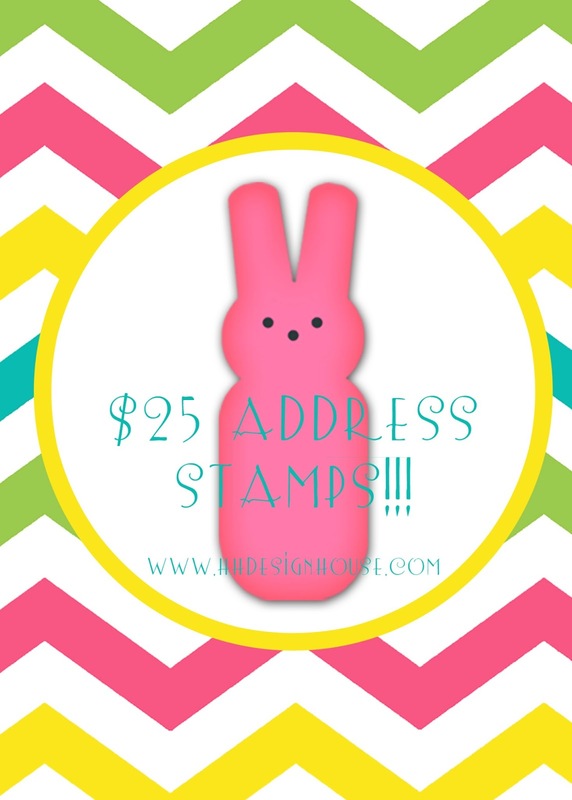 Custom PSA Address Stamps are $25 (regular $40). Choose from a variety of styles, ink colors, and peel and stick packs! 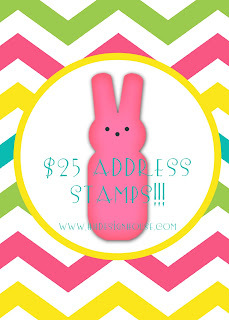 These stamps are one of our most popular items!!! Embossed Stationery is $25.95! Your grad will be writing many thank you's soon! Save on some stationery this month!!! Custom flat-ink notepads are great for a grad too! This month they are a low price of $19.95! Fill up your Easter basket with egg-cellent deals from HH Design House!!! Hoppy Easter!! !